1. 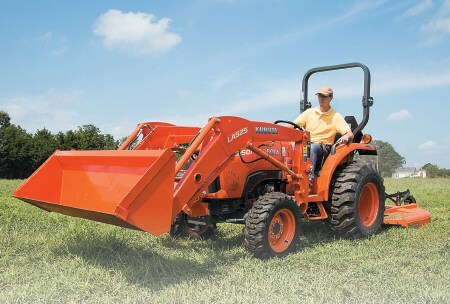 20% Down, 0% A.P.R financing up to 60 months on purchases of select new Kubota BX1880, L2501, MH(M7), RB, DMC, DM, RA & TE Series equipment from participating dealers' in-stock inventory is available to qualified purchasers through Kubota Credit Corporation, U.S.A.; subject to credit approval. Some exceptions apply. Example: 84 monthly payments of $11,90 per $1,000 financed. Offer expires 6/30/19. See us or go to KubotaUSA.com for more information. 2. 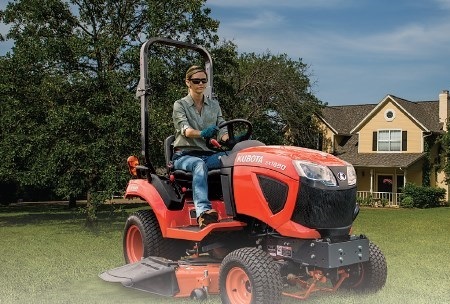 0% A.P.R., 20% down, financing for 84 months on purchases of new Kubota BX1880 plus 54" standard mower-deck from participating dealers in-stock inventory is available to qualified purchases through Kubota Credit Corporation USA; subject to credit approval. Example: 84 monthly payments of $11.90 per $1,000 financed. Example amount based on sales price of $10,395. Each dealer sets own price. Prices and payments may vary. Offer expires 6/30/19. 3. 0% A.P.R., 20% down, financing for 84 months on purchases of new Kubota L2501DT w/R4 tires from participating dealers in-stock inventory is available to qualified purchasers through Kubota Credit Corporation USA; subject to credit approval. Example: 84 monthly payments of $11.90 per $1,000 financed. Example amount based on sales price of $14,595. Each dealer sets own price. Prices and payments may vary. Offer expires 6/30/19. **For complete warranty, safety and product information, consult your local Kubota dealer and the product operator's manual. Power (HP/KW) and other specifications are based on various standards or recommended practices. © 2014 Holt Ag Solutions. All Rights Reserved.